Myrtle Trace 3BR/2BA home in 55+ Community. Large open floor plan with Den. 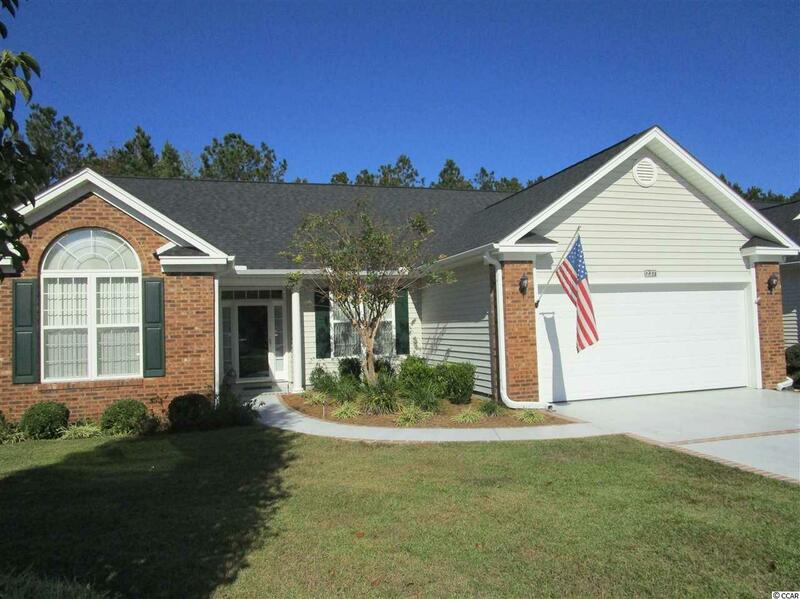 Soaring cathedral ceilings, Pergo wood floors & tile in traffic areas, carpet in bedrooms. Quiet private backyard. This home has many upgrades, all appliances including washer/dryer & window treatments convey with home. New roof 2018. This home is in very good condition inside and out. Directions: Off Rt 501 Onto Burning Ridge Rd To 4 Way Stop. Right Onto Myrtle Trace Drive. Short Distance To Next Street (Candlewood) Make Right. 237 Is Approx 20 Homes Down Candlewood On Left.